Being a lemon is not temporary it is a problem deep down at the very core. You can get a new paint job and put in all new upholstery and although the car might look shiny and great, drive it off the lot and around the town for a few days, weeks if you are lucky and pretty soon the check engine light will be flashing and another $1000 bill will be added to the pile. As much as I try to hide it, or tell myself it isn't true I really am a Lemon. I have been pretty lucky up until this point (and really considering my lemoniness I am still fairly lucky). For the most part, since the whole cancer thing was dealt with, I have been able to enjoy a pretty normal life. I have had a few bouts of rejection here and there but that is about it, until this year. If you have been following my story closely you know that the new year, brought some new bugs, a few weeks long sickness and the end of my no hospital stay streak. Well since then I have had a cough. This pesky cough was what I thought, a sign that I had rejection. In May I had a bronch to check that theory, which was correct. I did a 3 day dose of heavy duty IV steroids and my cough went away. Or so I thought, a week later there it was again. In June I went back to Duke for a follow up bronch. I was prepared for another round of rejection treatment, but no rejection. So why this cough? My doctor thinks it may have something to do with my sinuses and told me to get checked out by the ENT (ear, nose and throat doctor). The results of that visit were less than ideal. 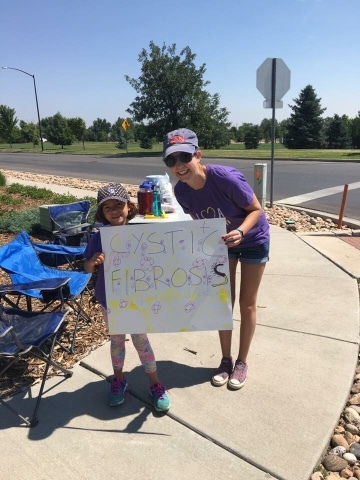 At 25 I think I have become an official member of the Cystic Fibrosis club as I too, like many of my friends before me, will be having sinus surgery. The biggest down side, as if having surgery weren't bad enough, is that it seems the only time to have my surgery messes with my travel plans for the summer. Not cool CF, not cool! For probably the first time in my life I am having something medical done that does not have to occur at a specific time. I am not sick, this is not sudden. It is being planned and yet, I still find myself forced to cancel plans and miss out once again. To me this is one of the most frustrating aspects of having a chronic illness, my health always seems to get in the way. The lesson learned from all the changed plans and disappointment is good, life is completely out of your control. No amount of planning, no meticulous medication schedules can prevent illness and changed plans, which has been good for me and really helped me to have more of a go with the flow attitude then is my true nature. Unfortunately, the path to this discovery is littered with dissapointment, feelings of being left out and frustration. This surgery is simply more of the same. What makes it so difficult is that it is planned. It did not have to be one more missed event in the book of my life, and yet, despite my best effort it is going to be. In addition, the surgery comes with another hospital stay, so there is that too. In other news, the climb is next weekend! You all have been a huge help so far and we have raised a fair amount of money. Thank you! To Donate to our team, click any of the TEAL words! Also in case you are wondering, the CF Foundation is one of the top non-profit organizations and has a fantastic model to use the money most effectively, many companies look to the CF Foundation to learn how to go about this themselves, so your money will be used well! Aw Sweetie, hang in there. I've been praying for you. Keep looking up and God will help you through this.